As people age, they become more susceptible to health risks, falls, and age-related illnesses. One study found that the number of elderly people visiting the emergency room has increased by over 30% in the last ten years. As your loved one’s health advocate, it’s important to be prepared in the event of a medical crisis, even if he or she seems healthy and independent now. Medical emergencies can be frightening and time-consuming, but asking your mom or dad’s doctor the right questions and being prepared with essential information can reduce stress and provide peace of mind that he or she will receive the best possible care in the event of an emergency. Medical emergencies can take many different forms. Your loved one may fall and break a hip, have a stroke, or experience chest pain. If these things happen, call 911 immediately. Less serious medical incidents such as non-specific pain, a minor bump on the head, or balance issues or weakness that impacts walking should be brought to the attention of your loved one’s doctor. What is the diagnosis? This might seem obvious, but it’s important to know exactly what your family member has been diagnosed with. Long-term care decisions may be very different for someone who fell as a result of age-related difficulties with balance as compared with someone who is developing Parkinson’s disease. Do you expect a full recovery? If your loved one has had a stroke, he or she may not be capable of the same level of independence they had previously. Should we expect mental or physical changes? Some medical emergencies may result in long-term mobility problems, changes in mental ability, or other effects. Be sure you know what to watch for before you leave the hospital. Are you prescribing any new medications? Make sure you know which medications your mom or dad should be taking and what the dosage is. It’s especially important to have this information if your family member has trouble remembering to take medications. Be sure to pick up that medicine for your loved one and help them with instructions on how they are to take their prescription. Will my mom or dad need ongoing assistance? Be sure to ask the doctor if you should provide additional assistance such as home care for your loved one moving forward. Some medical emergencies may result in reduced physical or mental capacity, and your mom or dad may need help with daily routines, bathing and dressing, or doctor’s visits. 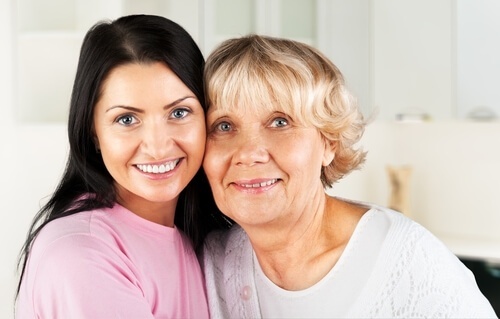 Contact information for your mom or dad’s primary care physician and any specialists. Be sure to take note of area codes, addresses, and Ohio medical transportation options, especially if you are from out of state. A list of current medications and dosages. Update this information frequently to prevent any possible negative prescription interactions. If it looks like your family member will be in the hospital for a few days, be sure to wrap up any loose ends such as forwarding the mail, caring for pets, and contacting your loved one’s church if they attend regularly. 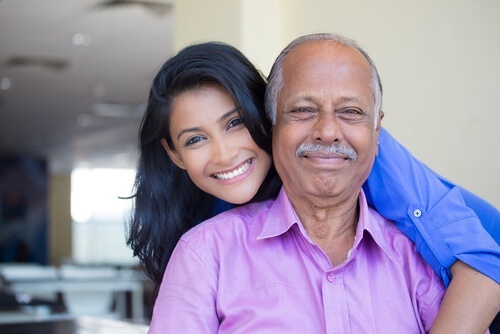 If you want to know more about how home care can help your senior parent recover after a medical emergency, download our FREE Guide to Home Care.